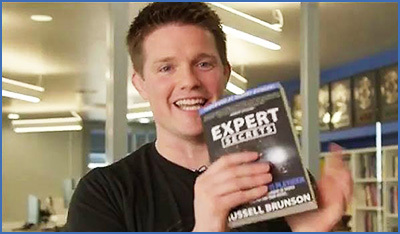 Russell Brunson - The Most Successful Internet Marketer? When it comes to today’s business landscape, marketing is more important than ever. Part of the reason for this is that most people use the internet to either make their purchases or inform their purchases. Since we do not live in a bubble anymore and since the world is so interconnected via the web, you need to learn the intricacies of these systems in a way that will allow you to make some serious cash and provide value to the people who you want to go on to become life long customers. 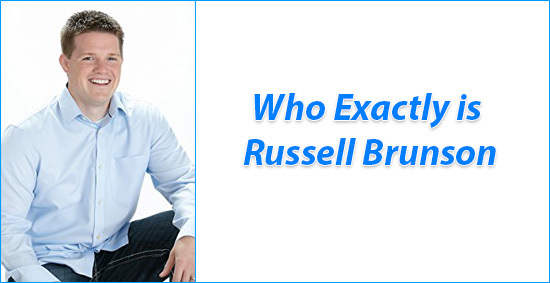 Russell Brunson has long ago made his mark as one of the premiere marketers and business men in the world, and continues to do so each day and with every practice and product that he employs. Not only has he mastered the art of building an audience and marketing to that audience, he also teaches the world how to do the same, so that people are empowered to start their own businesses and carve out their own slice of the pie. The story of Russell Brunson and how he came to be is quite amazing, so you should take in the points below and get to know him a little better. The early days in Russell Brunson’s life began in Provo, Utah. He was born in 1980 on March 8 to a family consisting of his mother, father, brothers and sisters. He eventually grew up in Sandy, Utah where he would fall in love with the sport of amateur wrestling. He wrestled all throughout high school, where he set the state on fire by becoming a state champion in his junior season and by becoming second in the nation following year. He was also an All-American as a high school wrestler in the state of Utah. His love and success with amateur wrestling continue once Brunson decided to take his skills to the next level. He received a full ride to Brigham Young University. Unfortunately, this is where Brunson’s path veered from wrestling at BYU, because the school would go on to get rid of its wrestling program altogether. Rather than wrestle on the team in its final season, Brunson exercised his religious faith and went on a two-year mission. This two-year mission led him to the state of New Jersey, during which he would spread the good news of his faith going door to door and speaking to people. Little did Brunson know at the time that this door-to-door approach would be the breeding ground for him to cultivate his sales skills. After coming back from the mission, Brunson realized that he was still incredibly passionate about sport of Russell. To scratch that itch, he put in a transfer and switch to Boise State University’s wrestling program. He spent four years wrestling at Boise State, where he would also graduate. 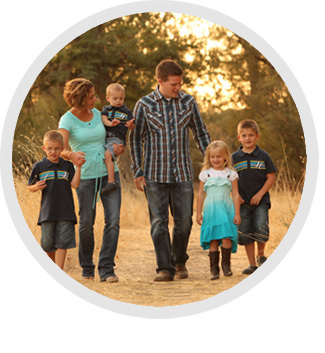 Aside from a collegiate wrestling career and a degree, Brunson came away with a family. He married the love of his life, Collete after knowing her for a little more than nine months. 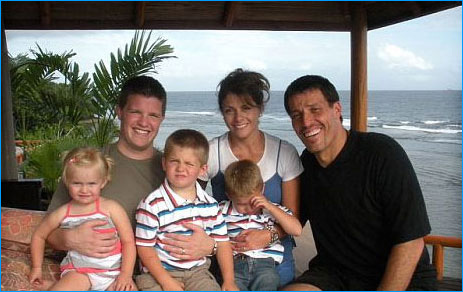 His marriage to collect and need for income is what truly launched Brunson into a different way of life. For about a year and a half, he spent time, money and energy on every program you can possibly get his hands on to figure out how to sell products via the Internet. 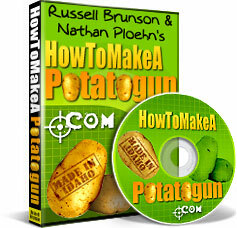 As if by a twist of fate, Brunson and his friend were spending time together one day and the idea of building a potato gun came up. Neither of them had built a potato gun before, nor did they have any idea how to do so. Since the Internet is a vast wealth of resources, they were able to find the instructions and go from there. In the middle of the fun of making the potato gun, the two began documenting each and every step so that they can teach people how to do it. This laid the framework for the philosophies that Russell Brunson would go on to sell in products that would teach people how to create their own sales funnels, become experts and authorities at the things they are passionate about and essentially, become their own bosses. Though Brunson’s origin story is filled with peaks and valleys, it is abundantly clear that he has always had an interest and a knack for business. He has literally collected junk mail since she was a 12-year-old and has taken a strange fascination to ads and commercials. It only makes sense that he would take these interests and hobbies and turn them into a lucrative business with the right focus and approach. Once it is college and athletic career ended, Brunson’s attention turned toward business in earnest. Even while in school, he had laid the groundwork that allowed him to earn a quarter of a million dollars in a single year. The year after he graduated, Brunson achieved a milestone of earning his millionth dollar from selling his own products. The life of a businessman has been good for Russell Brunson, to the point that he has received recognition, acclaim and opportunity that has been incredibly fruitful for him. He has gotten to work with business giants such as Tony Robbins and has traveled the world participating in seminars and selling products of all kinds. In fact, the author of the book Rich Dad Poor Dad, Robert Kiyosaki, was gracious enough to write the foreword for Expert Secrets ” the newest product offered by Russell Brunson which launched in April 2017. He had a family that he takes pride in and has gotten the opportunity to assist in building schools in Africa. The path has been fulfilling and fruitful to say the least and all signs point toward the journey continuing. Now that you learned a little bit about the man himself, it is important to take a look at where he really shines �” the products. Russell Brunson has created a few products that have caught on like wildfire and have helped people make their entrepreneurship dreams become a reality. Let’s take a quick glimpse at the products that have allowed Brunson to enjoy the life that he does today. This book is one of the first that Brunson put out to the world in order to teach the ins and outs of marketing. However, rather than simply listing few facts, this book provides an in-depth playbook that allows people to get off the ground running while wasting very little time. 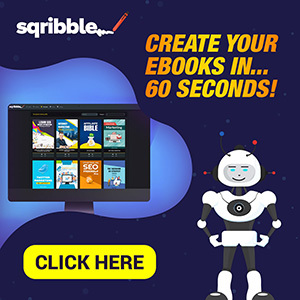 People who use this book report that they were able to dramatically increase their traffic in a way that is organic, while truly scaling the company in ways that they never imagined. It has helped people to create the sales funnels that took the company to the next level in very genius ways. After coming out with a book that showed people how to create sales funnels, Brunson decided to team up with coders in order to create software that could actually create and manage these funnels. 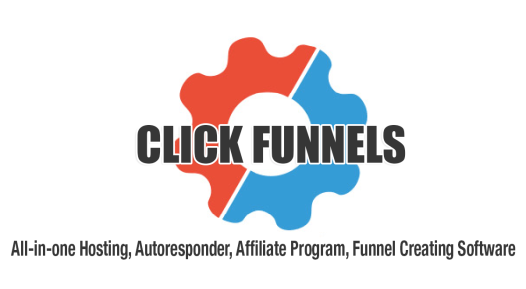 Click Funnels was the result of those efforts and this is a product that has gone on to earn millions of dollars in revenue. This product has become a premier option for people looking to revolutionize their business by creating sales funnels that draw people in and make the most out of every piece of communication. This product is for anyone in any field was looking to maximize on the way that the market the people and turn that attention into meaningful sales. By creating these funnels, business owners are able to maximize on every bit of attention that they bring in in a way that is substantial and allows the company to truly grow. 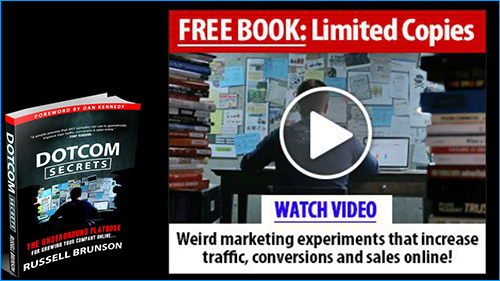 This is Brunson’s latest product and it is an in-depth look that will teach you how to not only create sales funnels, but to create a mass movement that establishes you as an authority. In establishing yourself as an authority, you will be able to provide people with substantial advice and can use this relationship to continuously provide value, as customers continuously pay you for your services. This is an all-encompassing blueprint that will help you pull the ideas from inside of you in order to use them in a way that builds a career for you from the ground up. These strategies can be used no matter what sort of field you operate in and you will be able to find it a lot of value out of it that can be used whether you are starting a new business or wanting to perfect your current business. way for him to not only give back, but it introduces brand to more people and grow his business over the course of years. In fact, many of his products are free, as this is a business model that has worked and has made customers very pleased. A lot of these products launch for free, with the reader only paying around eight bucks for shipping charges. It has allowed him to build a rapport with his entire consumer base. Now that you see who Russell Brunson is, the importance of the services he provides and how he came to be, one thing you can do is factor in these tips so that you are able to use the strategies that Brunson has employed in your own life. Since the adage states that success leaves clues, you need to make sure that you become familiar with Russell Brunson’s work, so that you can gain a leg up on the competition in the business world. No matter what kind of specialty you have or what area of business you are interested in, the tips that Brunson has used can be just as successful for you. By getting to know Brunson and how his mind works, you will be in a much better position to find some success in your own right. So follow these strategies and be on the look out for the many products that Brunson puts out. Wow! I am so inspired by Rusell Branson’s story, God bless his heart! God really works in him.